The sal tree (Shorea robusta C. F. Gaertn.) is a hardwood timber tree, up to 30-35 m tall. The crown is spreading and spherical. 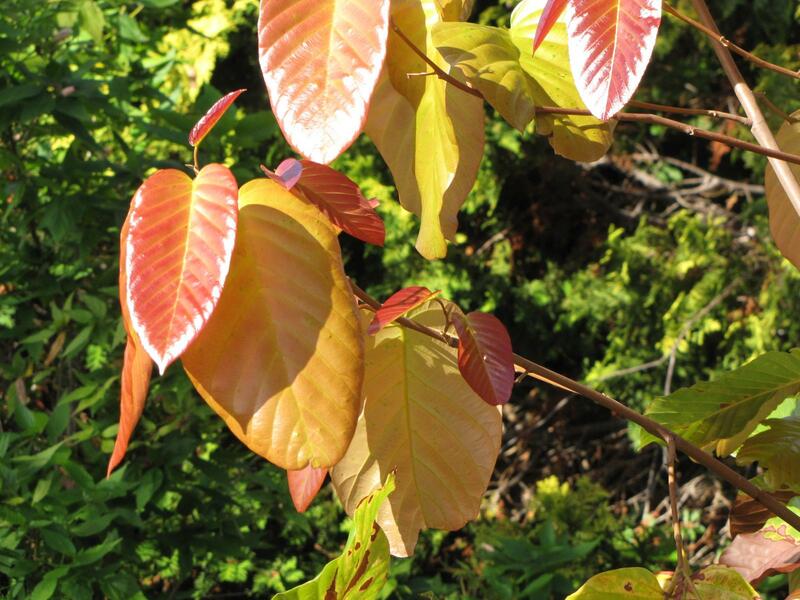 Leaves are 20 cm long, simple, shiny and glabrous, delicate green, broadly oval at the base. Fruits are 1-1.5 cm large and ovoid (Orwa et al., 2009). Sal seeds have various uses. They may be ground into a flour to make bread. The kernels contain 14-20% oil ("sal butter") which is used for cooking, as a cocoa butter replacer for illumination, and for industrial purposes (Appanah et al., 1998). The resulting sal seed cake is rich in starch (50%) and used in canning (Orwa et al., 2009). The leaves and sal seed cake are also used as feedstuffs. The sal tree is native to India, Myanmar and Nepal. It occurs in deciduous dry and moist forests and in evergreen moist forests. It is sensitive to frost and waterlogging. It flourishes best in deep, sandy, moist soils (Orwa et al., 2009). As it is resistant to fire, Shorea robusta is often a dominant tree in Indian forests. For artificial regeneration it can be combined with upland rice, maize, sesame and mustard (Orwa et al., 2009). Sal seed cake has a low protein and fat content and its usefulness as feedstuff has been questioned (Negi, 1982). The seeds and their by-products contain high levels of tannins that limit their use for monogastrics. 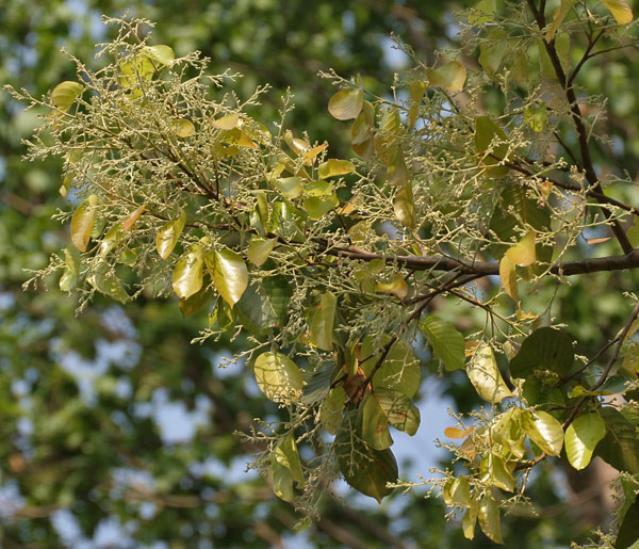 Sal tree leaves are used as a roughage of medium to poor quality (Orwa et al., 2009). In growing calves, deoiled sal seed meal was also fed at up to 30% without affecting animal health, intake and performance (Garg et al., 1984). Deoiled sal seed meal may also replace maize in dairy cows at up to 20% of the diet without affecting the animal performances and milk yield (Rajagopal et al., 1983). However, sal seed cake has a low protein content, and the presence of tannins adversely affects the utilization of other feed proteins. Attempts to remove tannins from sal seed meal are neither effective nor practicable (Negi, 1982). It has thus been proposed to use sal seed cake for the protein-binding properties of its tannins to improve feed utilization of forages containing highly degradable protein (Shalini Trivedi et al., 2007). Up to 40% sal seed cake in pig diets, replacing maize, had no significant effect on pig performance (Pathak et al., 1973 cited by Devendra, 1985). Sal seed cake has negative effects in poultry, due to its high tannin content. More than 50 g sal seed meal/kg in the diet of chicks resulted in poor growth and feed conversion (Zombade et al., 1979). Hens and broilers fed on 50% seed cake diets showed depressed nutrient digestibility and lower pancreatic and intestinal enzyme activity. Treating sal seed meal to reduce its tannin content improved digestibility and enzyme activity. However, hens fed sal seed meal produced eggs with discoloured, greenish-yellow eggs (Mahmood et al., 2006). Sal seed cake was included in rohu (Labeo rohita) diets up to 20% and 30% in the raw and fermented states respectively. Fermented sal seed cake protein supplemented with lysine and methionine-cystine could replace up to 50% of fish meal protein (Mukhopadhyay et al., 1996; Mukhopadhyay et al., 1999). In India, sal leaves were used to feed the tasar silkworm (Antheraea mylitta) (Jolly et al., 1976).